nically through your cell phone, online banking option, or any branch of FNB. The repayment term for the loan is one month, and it is the safest and the most convenient option when unforeseen expenses and events dictate your life. The approved amount of loan will be transferred to your FNB Personal Cheque Account or Smart Account, from where you can withdraw it and use as you desire. The FNB ATM Loans require an initiation fee, which will depend on the amount of loan you have taken. If you are wondering what makes you eligible for this loan, a good credit record is the criterion. If you are able to repay the whole amount of loan within a month’s time period, no interest will be charged on it. 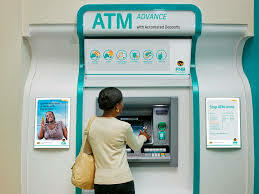 Get access to your instant financing in South Africa through FNB ATM Loan.